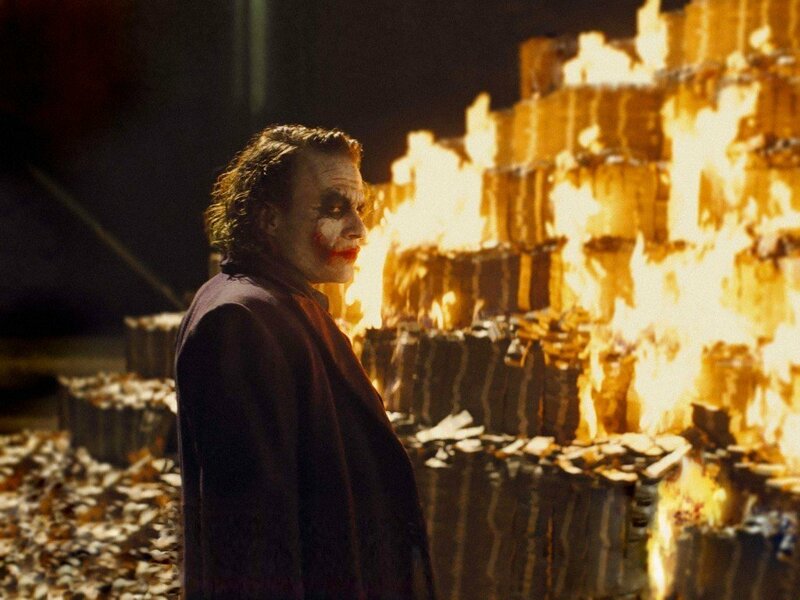 Why Can’t We Just Print More Money To Solve Our Financial Problems? With so much apprehension around jobs, unreasonable wages and soaring prices, an individual uneducated in the intricacies of economics might simply suggest printing more money to assuage our ever-turbulent money problems. Money is meretricious in nature. The thin paper without the hues of green smeared on it is absolutely worthless, like any rectangular cutout from an empty diary. However, the colorful emulsions printed on it by pinioning it to a shiny plate transform it into the most coveted object in our society; even time fails to compete. In a sense, the amount of money circulating in an economy can be thought of as energy. 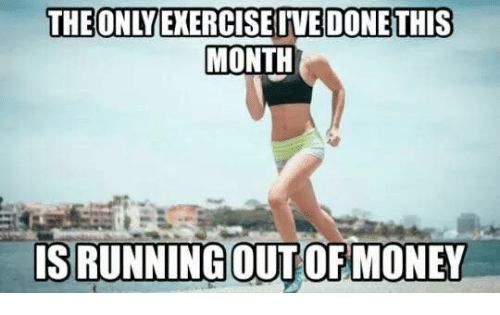 The amount is a constant throughout a given period of time. However, unlike energy, we aren’t stuck with a limited amount. The restriction on the creation of new and more energy isn’t applicable to money, as we can print more… infinitely more, in fact. If a lack of money seems to be the reason why we can’t buy that car we want, why not just print a few extra bucks? My explanation does not concern the details of how excess money would cause interest rates to fluctuate or affect other crucial macro-drivers of the economy. It only explains how an excess supply of money only influences the behavior of buyers and sellers. This article only provides a general account of why simply printing more money will only invite instability and really absurd consequences. Most importantly, as we’ll find out, it will be inconsequential. Before deeming certain goods unaffordable and accusing the government of being parsimonious for not lending you a big fat check, let’s understand how prices are allocated themselves. At the root of everything is supply and demand. Demand is the relationship that illustrates the quantity of a good that a consumer is willing to buy at a given price. Effective demand is then characterized by both a desire to purchase and the money to do so. Desire without the means to buy is not real demand. Moreover, in a society, wealth is unequally distributed, so not everyone can participate as consumers. The price of a good has an inverse relationship with its demand: As the price of a commodity increases, a consumer’s demand for it decreases. And why not? Higher prices would make a consumer poorer. The transaction now requires the consumer to spend a larger portion of income to purchase the same quantity that the consumer had previously acquired at a lower price. 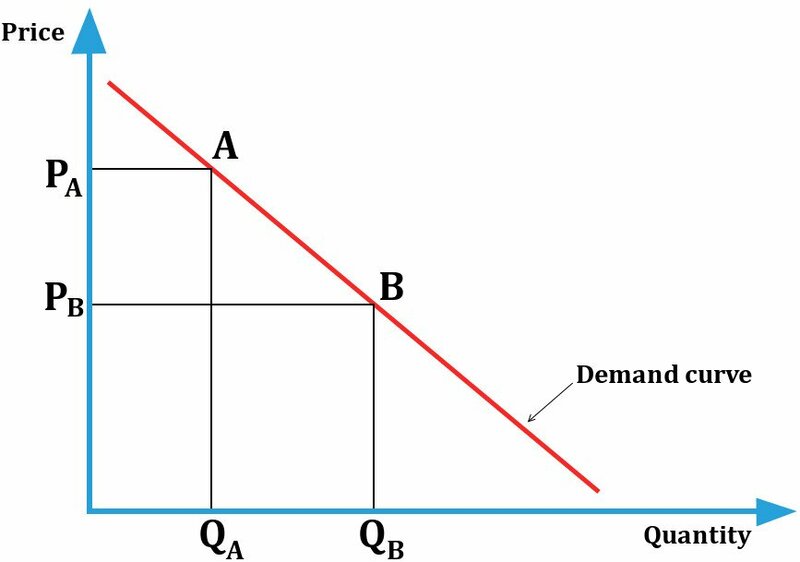 Furthermore, the demand curve drawn for a commodity sold at a certain price shifts when the relationship between price and quantity fluctuates. We can see that when a curve shifts to the right, a larger quantity of the good can be purchased at the same price — its demand has increased. On the contrary, when the slope shifts to the left, a smaller quantity of the good is now purchased at the same price — its demand has decreased. This shift in demand can be traced back to a number of external factors, such as an increase or decrease in income or price control policies. Naturally, a higher income would allow you to buy more of the good (at the same price). Another factor is the change in prices for substitutes (if the price of Pepsi goes up, the demand for Coke will also rise) or complements (if the price of popcorn soars, the demand for theaters will decrease). In general, higher prices reduce the quantity of demand and lower prices increase it. However, there can be exceptions: rare artifacts, luxury cars or diamonds are some of the exceptional commodities with a level of demand that wouldn’t plummet if their prices were to climb. Supply is the relationship that portrays the quantity of goods that will be offered for sale at a particular price. Unlike demand, the price of a commodity has a direct relationship with the quantity of it being supplied. The reason is that higher prices encourage firms to buy the necessary means of production to produce more, whereas lower prices discourage any production. At higher prices, excess resources can be allocated to generate more profit, while the reverse is true for lower prices. However, as in the case of demand, there are exceptions for supply too — technological advancements can increase supply without an increase in price. For instance, the technological advancements in silicon technology are credited for the massive supply of electronic components, but they cost pennies for sale. Supply curves also tend to shift when prices experience any changes. When the curve shifts to the left, it indicates that a smaller quantity of the good is sold at the same price — its supply has decreased. On the other hand, when the curve shifts to the right, more of the good is sold at the same price — its supply has increased. Demand and supply represent the willingness of consumers and producers to engage in buying and selling. The market combines these forces to determine the price of a product in contention. The price of a commodity is dependent upon the interaction between demand and supply. A market price is not necessarily fair; it is in the nature of a seller to maximize profit and in the nature of the consumer to pay less or be self-interested. Logically, a profit maximizer’s only incentive is to charge more, but the market is impervious to their greedy attempts. Moreover, consumers aren’t acquiescent too. Their attempts to profit are dismissed by the law of demand — if prices were to soar, consumers would demand less. Similarly, if consumers aren’t willing to pay, the supply automatically decreases, rendering their demands unfulfilled. The market’s function is to find a point of intersection for the two slopes, known as an equilibrium price. Since it balances both the forces, at this point, the quantity demanded is equal to the quantity supplied. At this price, the producer can sell as much as he wants and the consumer can buy as much as he wants. It’s termed equilibrium as there’s no pressure on the price to increase or decrease. Changes in the equilibrium price can occur when either demand or supply, or both, begin to shift. In response to the shift, the price also deviates and settles on a new value – wherever the new topography of the lines forces them to intersect. Case 1: If the blob in the middle were to climb the hill on its right (such that the demand curve moves to the right), the new graph would now indicate that there is an increase in demand. To meet this demand, a surplus of goods must be produced. 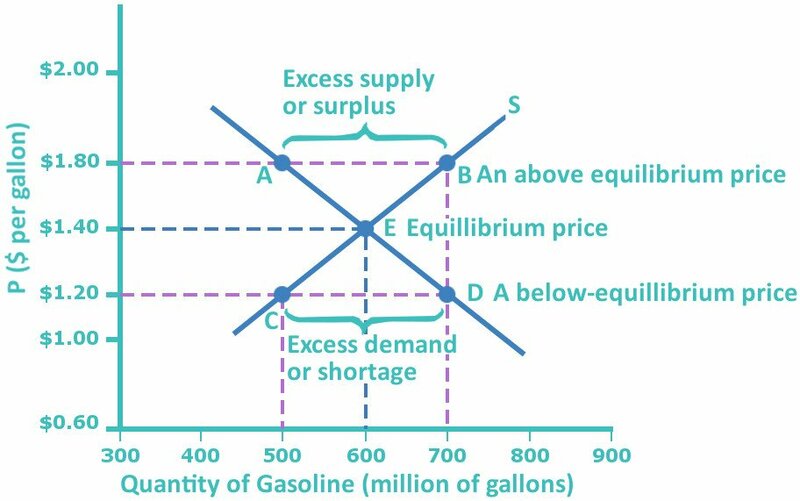 An increased supply would require additional resources and labor, which would drive up the price and establish a new equilibrium price (point A). Case 2: If the blob climbs the hill on the left (supply curve somehow shifts left), the new graph would depict the decrease in supply. This can be perceived as the quantity now suddenly being limited. A sort of auction is initiated and consumers will be willing to pay more for the goods. 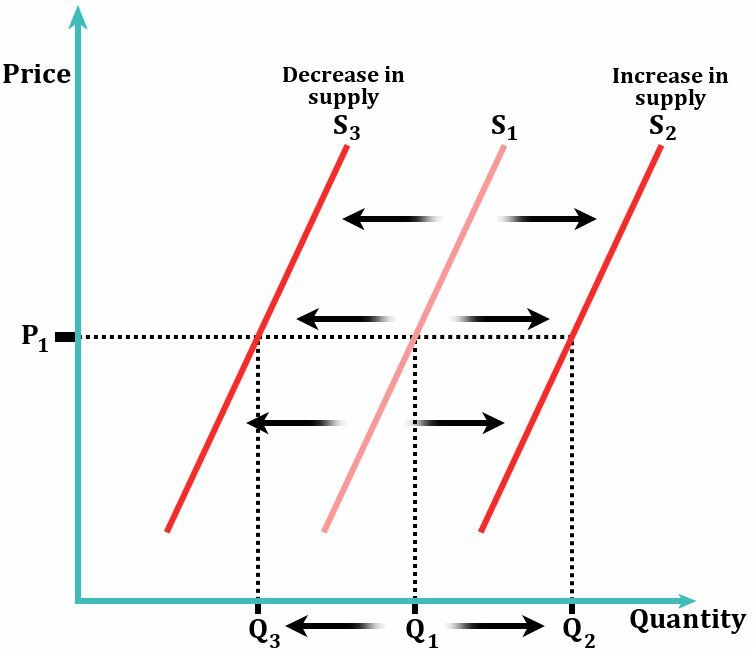 However, the demand then decreases, as we observe suppliers selling their goods at a new, higher equilibrium price (point B). 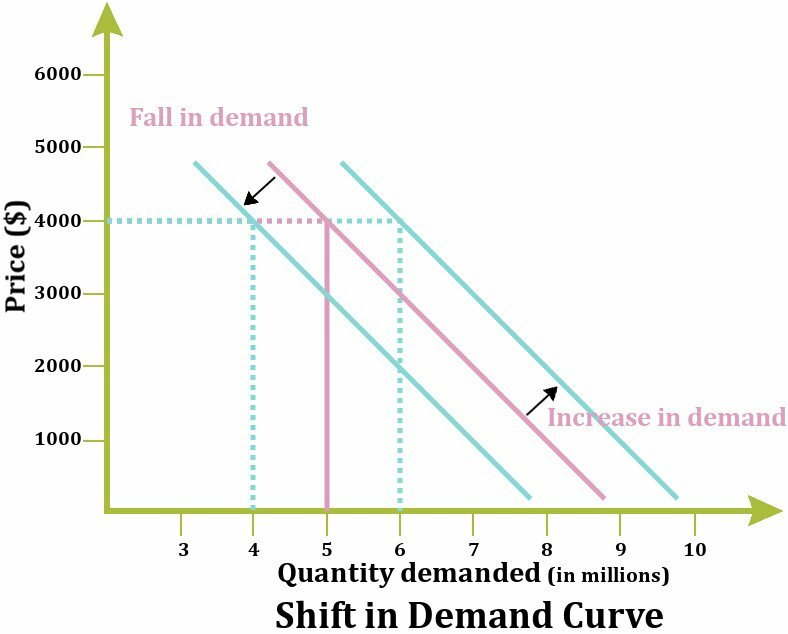 Case 3: If the blob rolls straight down for a small distance towards the left (demand curve shifts left), we infer that the demand has decreased. To meet this demand, suppliers are forced to supply less as well. Consequently, this reduces the price to a new, lower equilibrium price (point C). 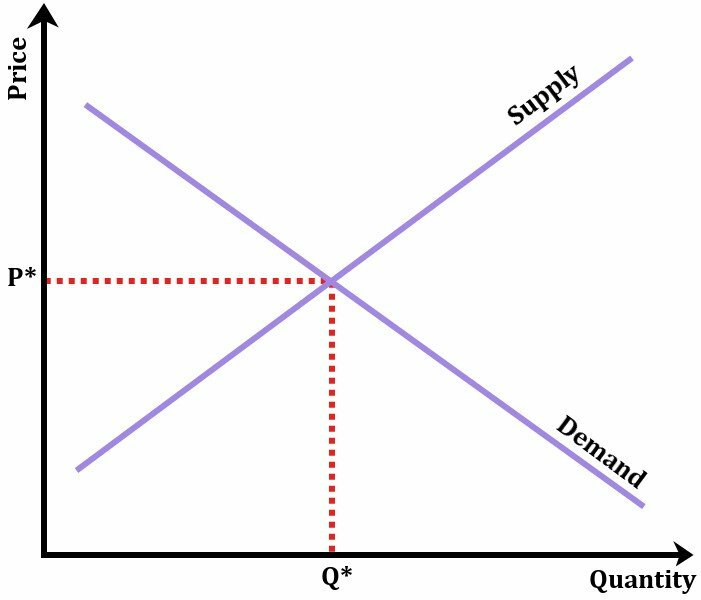 Case 4: Finally, if the blob rolls down to the right (supply curve shifts right), we realize that the supply has increased. This reflects a decrease in production costs, probably due to technology advancements. Now more goods can be purchased at the same price, or simply, the price has now reduced to a lower equilibrium price (point D). In these ways, a surplus or shortage coerces the market forces to drop or raise prices. Now that we know how prices are allocated, we can move further towards understanding what happens when there’s an increase in money without any change in the price. Why is minting more inconsequential? 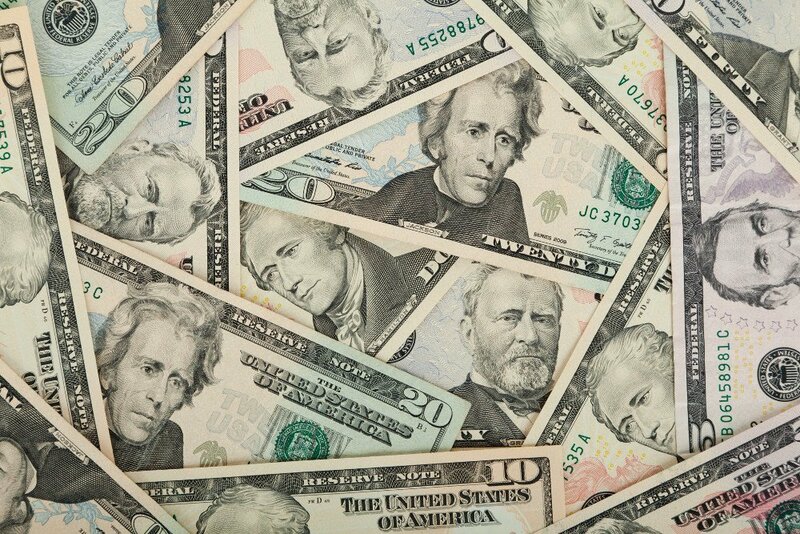 The increase in money circulating in an economy can be translated to an increase in consumer income. Now, the consumer is capable of buying more at the same price. This desire to buy more drives up the demand. This is reminiscent of Case 1 above. As explained, to produce the desired number of goods, supply must also increase. The increase in supply will even out the ratio and as a consequence, the prices increase accordingly! The market has absolutely vanquished the upper hand that consumers had with the excess amount of money. The extra cash hasn’t done any good since the prices of goods have increased in equal amounts right along with it. Rather, it has caused inflation! 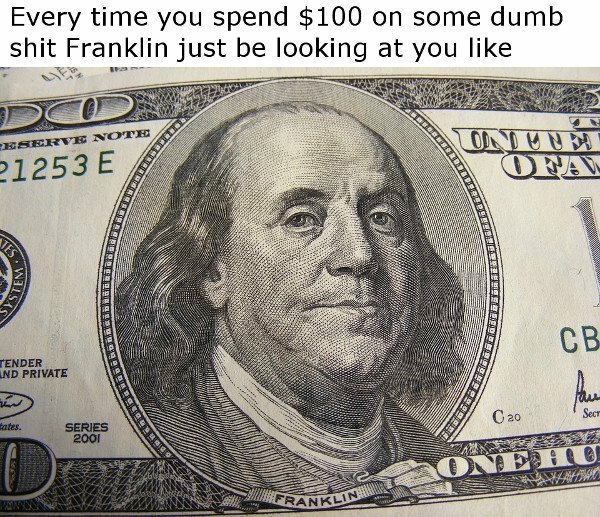 Now you’re just exchanging more bits of paper for the same quantity of goods. This is the reason forgery is so frowned upon. Again, the sellers haven’t done anything to sabotage your good fortune; the market is highly impersonal, and prices are only determined by two independent factors: supply and demand. This natural mechanism requires no external monetary body for direction, nor any altruistic motivation by either the consumers or producers. As for the absurd consequences I was earlier referring to, heedlessly printing more money is a blunder of a decision. It is just plain stupid… which is why it is no surprise that human beings have attempted it so often in the past. 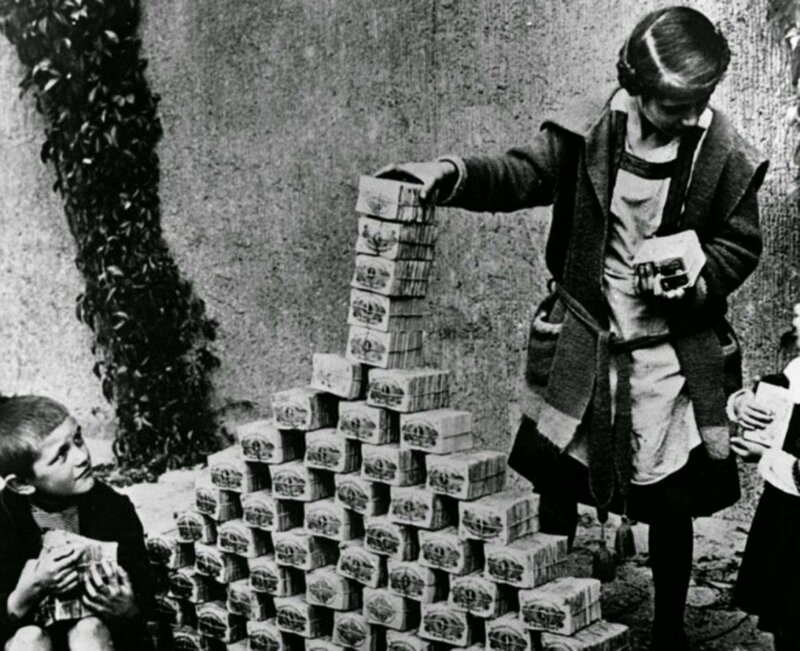 Germany did it around 1924 in response to the Great Depression, but naturally, people ended up with heaps of money, of no worth whatsoever. A compounded increase in currency forced the citizens to push around trollies full of money just to buy a packet of biscuits! Or consider Zimbabwe, an astronomically inflated economy, who has recently minted currency that includes one trillion-dollar notes!